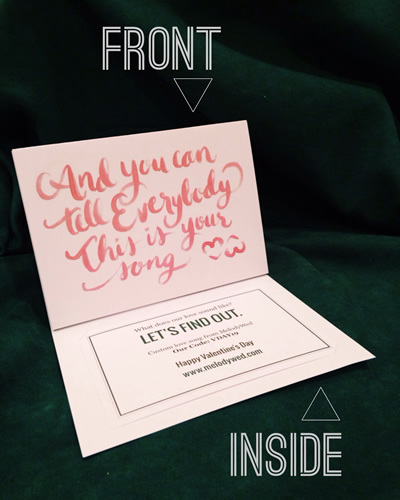 Turn your custom love song order into a priceless gift. Save your wedding date with a 30% deposit before February 7th, 2014, and MelodyWed will send you this LIMITED EDITION Valentine’s Day Card as a gift for your special someone! FRONT: And you can tell everybody this is your song. We only have a few of these greeting cards in stock, so act fast!